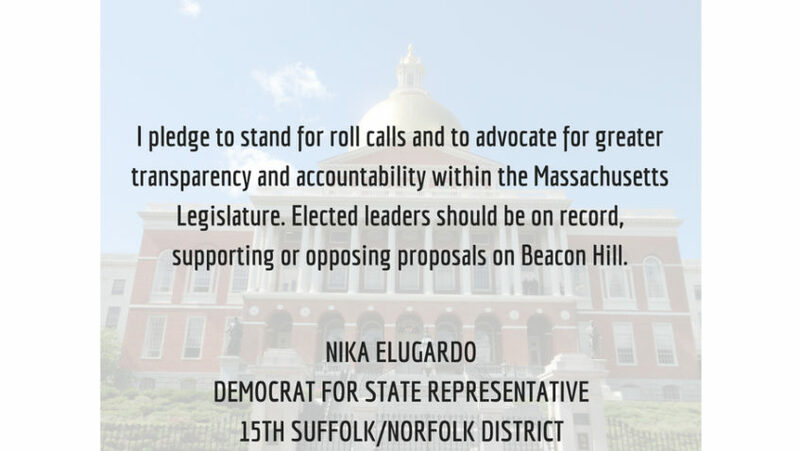 Sixteen Democratic women running to make change in both chambers of the Massachusetts Legislature publicly pledged to push for greater government transparency and accountability. Presently, roll calls are the way legislators publicly vote on bills. In a roll call vote, each legislator is asked to vote “yea” or “nay” on the bill at issue and each vote is published, on the record. Roll call votes are not mandatory, and occur when requested and supported by at least ten percent (10%) of elected Representatives or one-fifth (⅕) of the Senators present. Without a legislator requesting a roll call and sufficient support for that roll call, a voice vote proceeds, yielding unrecorded, essentially secret votes. All sixteen women pledge-signers are running to make government work for the people of their districts, spanning the entire Commonwealth. Central to the idea of a “government for the people” is that the people actually know what their legislators do and how they vote on the various policies before them. In addition to the Transparency Pledge, several of these women have stated they would vote to make the public records law applicable to the Legislature. Those wishing to follow the pledge, or ask their legislators to sign on, can search for #TransparencyPledge on social media. Pledge-signers running for State Senate are: Samantha Hammar (5th Middlesex) and Becca Rausch (Norfolk, Bristol & Middlesex). 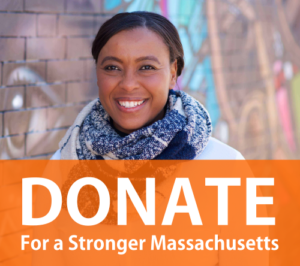 Pledge-signers running for State Representative are: Nika Elugardo (15th Suffolk/Norfolk); Emily Farrer (3rd Bristol); Tami Gouveia (14th Middlesex); Allison Gustavson (4th Essex); Sabrina Heisey (36th Middlesex); Erika Johnson (19th Middlesex); Lori Lennon (23rd Middlesex); Marie McCourt (2nd Hampshire); Tanya Neslusan (1st Hampden); Maria Robinson (6th Middlesex); Lindsay Sabadosa (1st Hampshire); Mary Ann Stewart (15th Middlesex); Gretchen Van Ness (14th Suffolk); and Francia Wisnewski (1st Franklin).